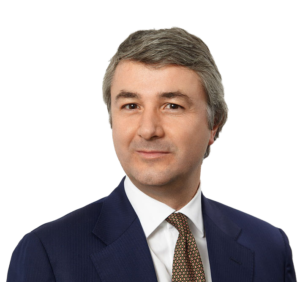 Gianluca Carlesso is a lawyer based in Bucharest (Romania) and his focus is M&A, corporate, banking and finance. With over 20 years’ experience, he is dual qualified as a lawyer in Italy and Romania. His experience includes advising on a wide range of high-profile corporate transaction and managing multi-party and multi-jurisdictional cases. His practice covers the full range of banking, commercial, and corporate matters. He has also extensive experience of advising in relation to restructuring and insolvency matters. He has been recognized by Chambers of Commerce every year since 2008 as one of the leading commercial and corporate lawyer in East Europe. He advises multinational, international and local companies and banks. He has graduated in Rome University ‘La Sapienza’ and is admitted to the Italian and Romanian Bar. He attended a LLM in Commercial Law at National University of Dublin, Ireland, and a Master in International Tax Law at Rome University III “Tor Vergata”, Italy. In addition, he was Assistant Professor of International Commercial Law at “LUISS” University of Rome, Italy. He is a native Italian speaker and is fluent in English, French and Romanian. Romina Mihalache is a Romanian qualified attorney with top academic background. 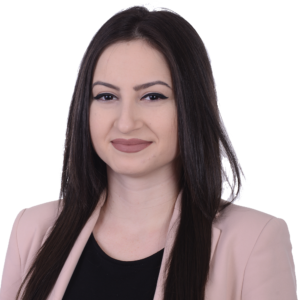 Romina graduated from the Faculty of Law, University of Bucharest, Post-graduated Study in Business Law and she is a member of the Bucharest Bar since 2009. She also graduated from the Faculty of International Business, Banking and Finance, at Romanian-American University of Bucharest. 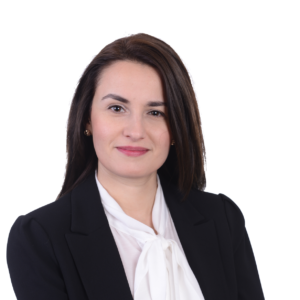 Romina has professional experience with a substantial expertise in transnational litigation, employment, fiscal and administrative litigation, insolvency proceedings and recognition and enforcement proceedings of foreign judgments. She also has experience in drafting contracts or legal documentation for contracts, ensuring the harmonization of national law with European Union directives, coordinating legal activities related to real estate investments, transactions, preparing legal opinions, corporate law. She has been involved in many of the remarkable corporate cases over the past few years. She also has broad experience handling international matters involving multiple jurisdictions. She is a native Romanian speaker and is fluent in English, Italian and French. Ms. Antonia Coman is a qualified associate lawyer who has graduated from the Faculty of Law, University of Bucharest. She holds experience in Commercial, Corporate, Real Estate and Construction, M&A and Public Procurement Law. She has advised and assisted a broad range of clients in relation to various matters pertaining to their day-to-day business activity as well as to specific issues arising out of real estate and corporate due diligence, regulatory, permitting and related aspects. She is a native Romanian speaker and is fluent in English and German. 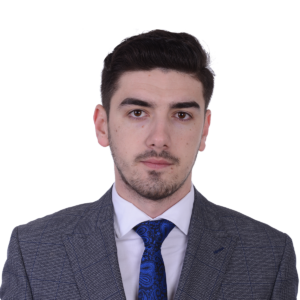 Mr. Razvan Coscai is a graduate of Faculty of Law, University of Bucharest. He also gained certifications in the insurance area and digital signature. He has experience in corporate, commercial and labour law and has a large background in transport law. 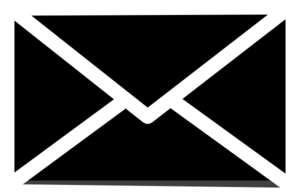 He also has knowledge of criminal and administrative procedures both intern and international. He is a native Romanian speaker and also speaks English and French. 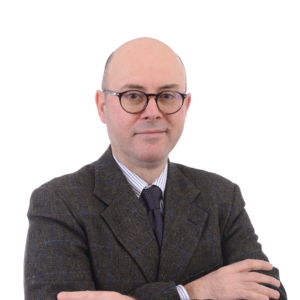 Tommaso Di Natale is a lawyer based in Rome and Siena (Tuscany), specialized in Tax and Commercial Law, in international and joint venture agreements and also in labour law. His focus is to advice and assist Italian companies and their international subsidiaries with over 20 years’ of experience. He graduated at La Sapienza University of Rome and he attended a course in Comparative and International Law at the Vermont University (U.S.); he holds a Master’s degree in Tax Law at IlSole24Ore Business School in Milan. He worked at KPMG Office in Milan and at K-Legal in Milan and focused in banking and finance law. He is native Italian speaker and fluent in English.